To get a micro-glimpse of just how staggeringly bad things have gotten in Venezuela, I invite readers here to view a film documentary spliced into a larger article on a creditor suing PVDSA and seizing the US asset CITGO in the US District Court in Wilmington, Delaware. Getting past the legal shuffling, the WSJ spliced in a film on Venezuela, which encapsulates what has been happening to the ordinary people there. Here is my prediction: I predict that Venezuela is headed for mass hunger, mass infant mortality, and a huge migration. I predict that some 25 million will flee, pushed out by hunger. They will go first to Colombia and Brazil, and then some portion will end up in the USA, Trump or no Trump, so if you want to head that off, I see no solution other than a Western Hemisphere military occupation, the provision of vast stores of food by the US Navy, distributed by the US Army, the arrest of Maduro and his Cuban Intelligence thugs that he keeps around, and putting the Venezuelan army and police on the US payroll in US dollars. Loyalty these days is entirely fungible. You don't do all that, you have another Syria. Sobering. It did not need to happen. Sobering. It did﻿﻿ not need to happen. not sure what was sobering the film I saw was about an unemployed single woman with 4 kids, 2 not with her, struggling to survive with her unemployed brother who was facing trial for robbery would she have a great life if she wad born in the USA not convinced of that. Maybe a bad example but showed me nothing. It should be eye opening for those who embrace socialism. 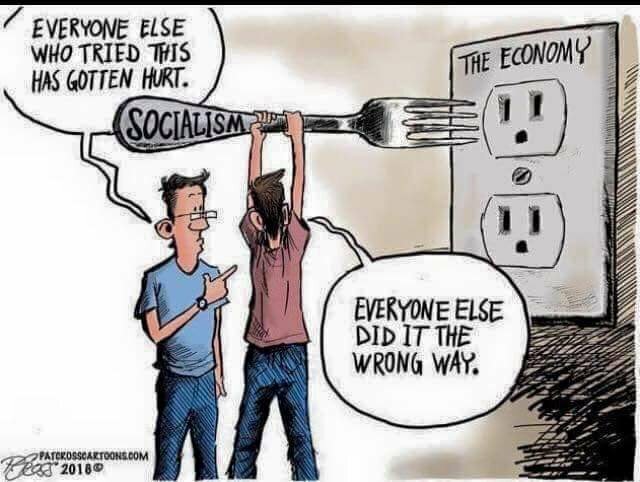 Let’s call it an evidence based after school special on the very real and inevitable outcome of socialism. A musing that suggests her plight may not be better if she’d been born in the USA isn’t reality based. If it were, folks from Mexico, Central and South America wouldn’t be clamoring to come to the Estados Unidos by the hundreds of thousands. No, the reality is the video is as Dan described, sobering, a sobering display of what Churchill called, “....the philosophy of failure, the creed of ignorance, and the gospel of envy.” Sad, perhaps Venezuela will embrace something different and rise from the ashes stronger. I fear that it will not. OK so you are saying that a single parent mother with 4 kids is going to live the high life in the US? I suggest she would be working as a waitress if lucky and still barely able to feed her kids. People are leaving central and south America for the US undoubtedly but when your life is crap you may as well gamble but working as labourers, waitresses etc is hardly the high life and as the cost of living is higher in the US are they actually fantastically better off? The one thing the US gives them is a chance which they dont have in a poor country, any poor country not just a socialist one as there are always opportunities in richer countries obviously. Venezuela was ruined by socialism that's a fact but his film is by no means a slam dunk on it being a lesson on how bad things can get, you could go to democratic capitalist countries all round the world and find poverty just as bad if not worse. What seems to fall on some deaf ears is that Venezuela holds one of the worlds largest commodity, oil, and was once one of the wealthiest and advanced South American countries. Not the first to kill the golden goose. Won't be the last one either. 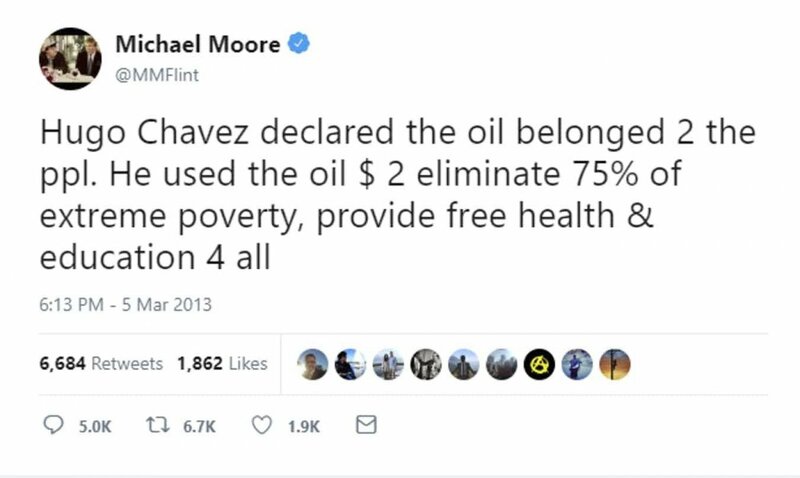 Just a reminder that Venezuela was previously celebrated as Socialism done correctly.